72 photos were displayed at the departure terminal. 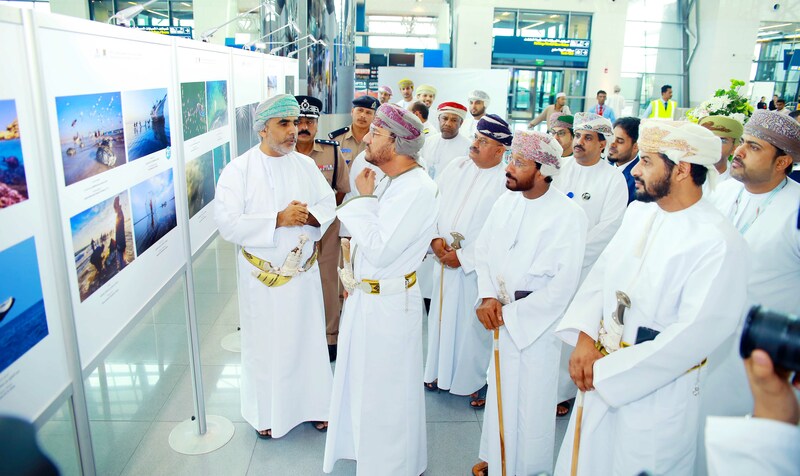 Oman Airports is hosting “Oman and The Sea” photography exhibition at the departure terminal of Salalah Airport during the period 24-28 July. The exhibition is organized as part of the company’s celebrations of Khareef Salalah season. The exhibition translates Oman Airports vision “Gateways to beauty and opportunities” and its active role towards tourists. The exhibition displays 72 photos taken by 47 Omani photographers, who are members of Oman Photography Association, highlighting the beauty of Oman maritime and wild environment. 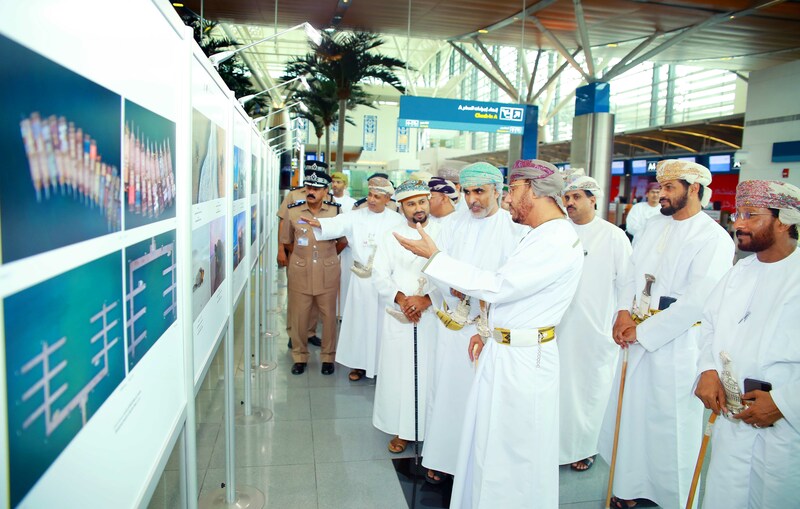 Organized at a vital time of the year, which coincides with Salalah Tourism Festival, the exhibition sees good turnout from travelers through Salalah Airport. 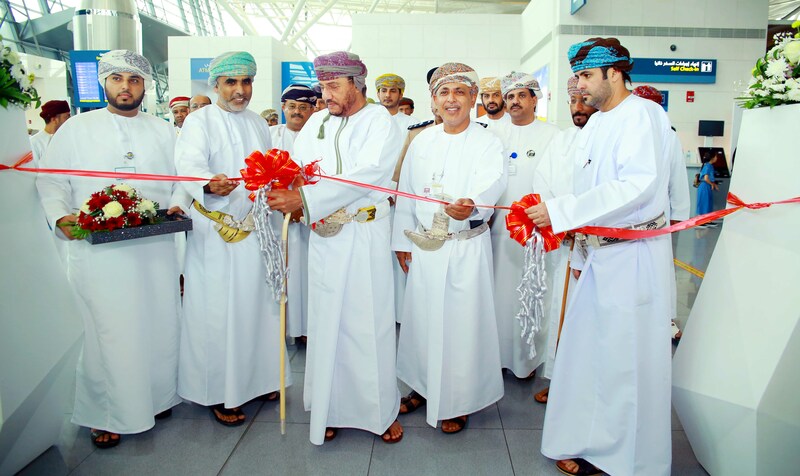 The exhibition is co-organized between Oman Airports and Oman Shipping Company. The photos taken by prominent Omani photographers highlighted the beauty of Omani beaches, ports, and seas. The photographs revealed the beauty of the environment of Oman reflecting the high talents of the photographers. Commenting on the exhibition Abdul Qadir Al Sayari, General Manager – Support Services, noted: “As part of our CSR initiatives we endeavor to support youth in various fields. Our support to “Oman and Sea” photography exhibition falls within the same framework. The exhibition highlights the various components of Oman cost line through the artistic photos presented by the photographers. “This exhibition is held for the second time, and it coincides this year with the celebrations of Renaissance Day as well as Salalah Tourism Festival. Visitors of Salalah during this period had the chance to see the beauty of Oman through the photos,” he added. The photos of the exhibition were selected as part of a competition, where more than 256 photographers participated and presented 898 photographs. Following the jury filtering, 72 photos were accepted showing the beauty of the cost line of Oman, which spans over 3000 km. Sultanate of Oman is bestowed with a stunning marine environment including various rare and varied aquatic organisms in addition to fishery wealth. Additionally, there are five types of sea turtles nesting, four of which are found in various beaches around Oman. The most common type of the sea turtles is the rare green group. In addition to turtles, there are whales, dolphins and more than 130 types of coral reefs. Salalah Airport, in its first participation in “evaluating travelers’ satisfaction survey”, scored the 8th rank globally among 71 airports in the category of 2 million travelers. Number of passengers in Salalah Airport reached 516,470 passenger by the end of May 2018, and the number of flights reached 4,432 flight while international flights through Salalah Airport reached 1,620 flight by the end of May 2018.